#NaPoWriMo 2018 Day 04 today was real fun although it did take me a while to write I had so many ideas. I finally finished the poem after waking in the early hours of the morning. The prompt was to write a poem in the form of a list of made up names. I chose one of my favourite subjects CHOCOLATE. Click HERE to see the prompts. Click the image to enlarge (opens in another window). Don’t they sound just yummy? 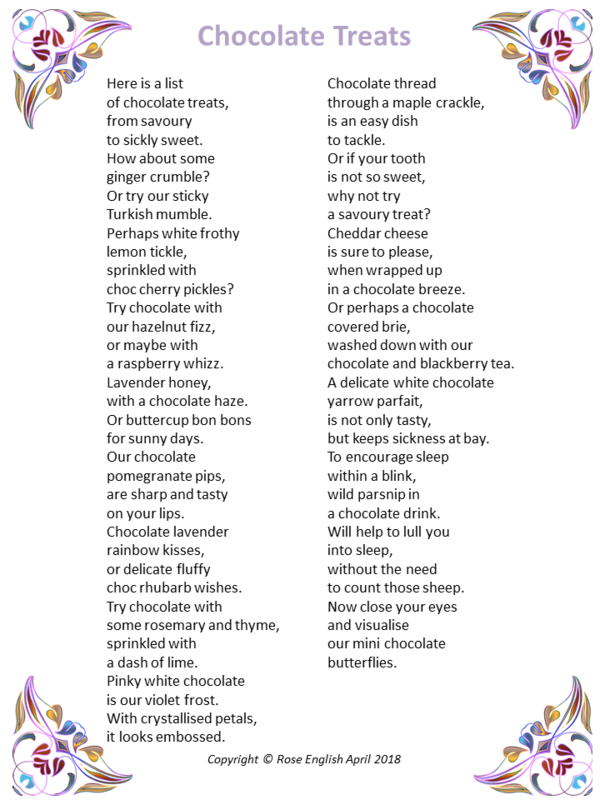 Do you have a favourite, I love the idea of a pinky white chocolate violet frost. But I would happily try them all even the savoury cheese. 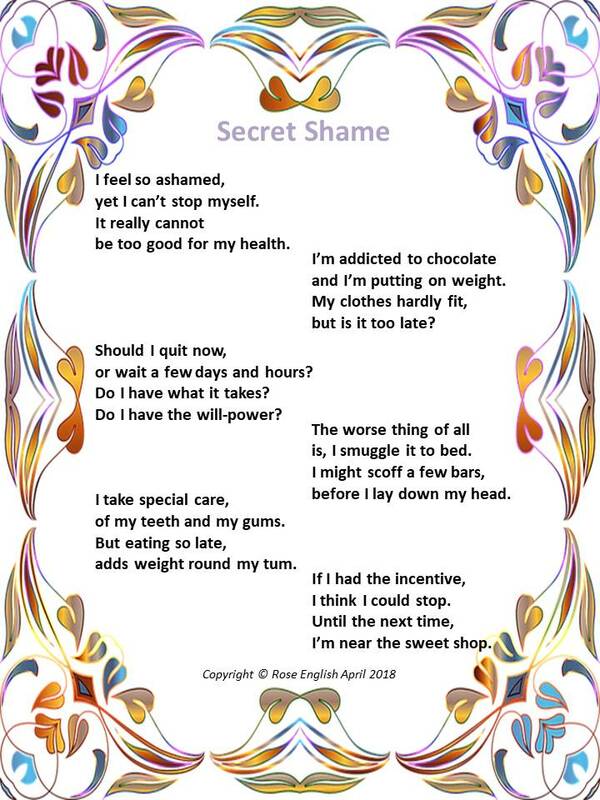 #NaPoWriMo 2018 Day 02 and as mentioned in the previous post the prompt for today is Secret Pleasure or Secret Shame. I already did pleasure although it is not a secret anymore, so now to Secret Shame. OK so I’m a chocoholic and now you know my secret shame it is no longer a secret. But being totally honest I am not as bad as I used to be. I don’t smuggle chocolate to bed (not often anyway LOL).